Looking for a stunning prom dress, elegant formal ball gown, or lavish pageant gown fit for a queen? Browse this assortment of luxurious evening dresses for prom, pageants, galas and formal events. 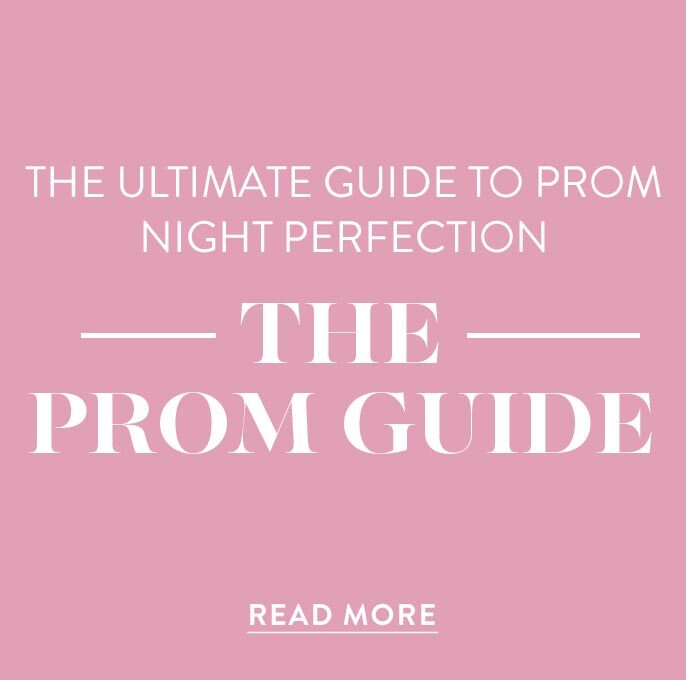 You will find a variety of in-vogue long prom dresses by the top dress designers like Sherri Hill, Jovani, Terani, and many more. These chic designer gowns are crafted with lush fabrics, quality embellishments and stylish details to create a truly polished, exquisite look. From full-length formal dresses accented with intricate embroidery to the alluring style of a curve-hugging jersey evening gown, choose a couture designer dress from this collection for that special formal event. What is Currently in Style for Pageant Dresses? Stylish by design, these beautiful pageant gowns feature the season’s hottest trends from fun necklines and hemlines to elaborate details and embellishments. 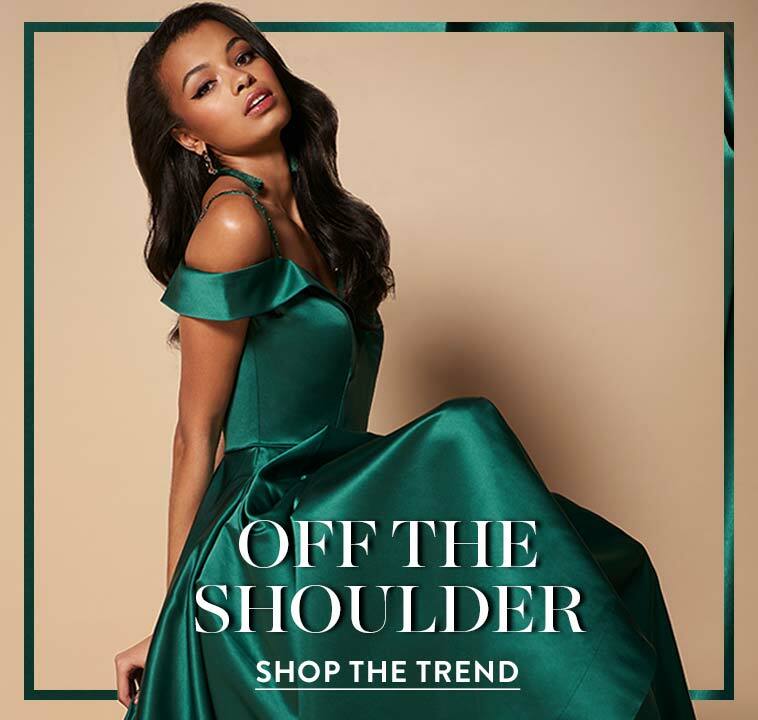 Claim your crown with poise and confidence in one of these off-the-shoulder, cold-shoulder, or deep v-neck designer ball gowns. Two-piece dresses are another style on the rise for senior proms and pageants. 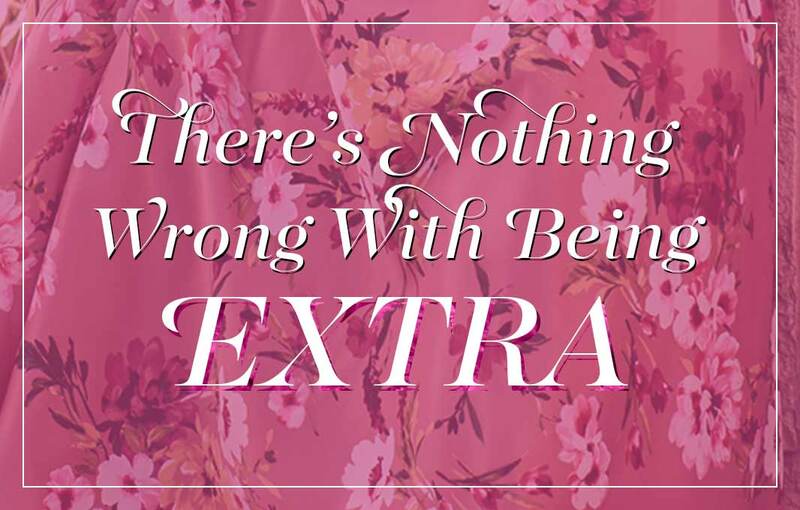 Try one of the contemporary two-piece dresses or unique print dresses, sure to highlight your personal style and distinguish you from other contestants. The designers of these dresses have paid meticulous attention to details to ensure that these pageant dresses will sparkle and shine under the spotlights. From pageant dresses accented with quality beading and jewels to floor-length ball gowns with breathtaking embroidery and applique designs, you’re sure to turn heads when you step onto the stage in a pageant dress from PromGirl. This collection of designer prom dresses and formal evening dresses is ideal for the trendsetting girl with an eye for the finer things and a love of all things fashion. These opulent formal ball gowns and long evening gowns feature intricate jewel and sequin-patterned designs to help accentuate a shapely feminine silhouette. There are glamorous long prom dresses with illusion cut outs, open backs, and slits for an alluring look. 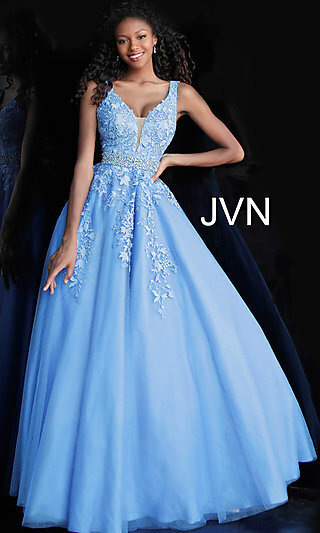 You will find contemporary short prom dresses crafted from lace, satin, mikado, jersey, or chiffon, as well as classic formal dresses with sleeves and high necklines for a modest and sophisticated look. 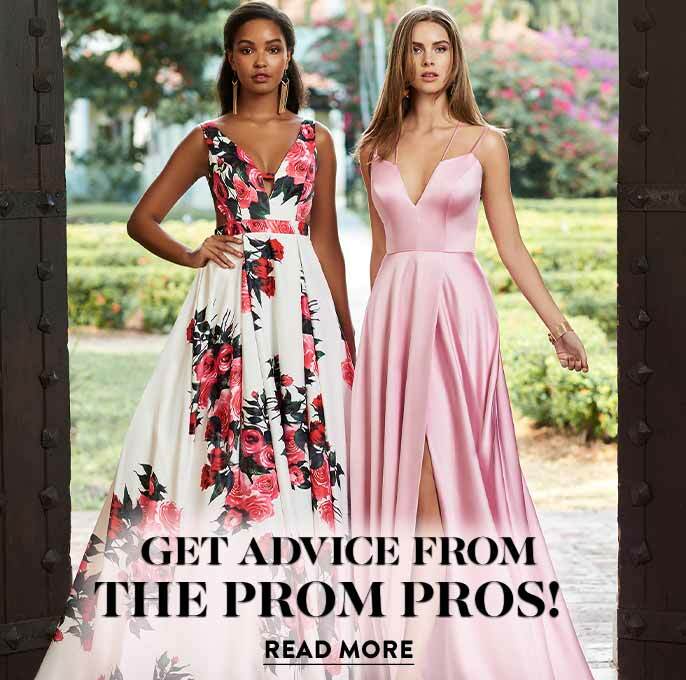 Highlight your personal style and feel like a celebrity in one of these couture prom gowns or long formal dresses for pageants or special occasions.